Apple will need to move past its iPhone, and focus on services for sales growth. While it may not be immediately apparent, Apple can make money from its installed base of users over time, a UBS analyst says. 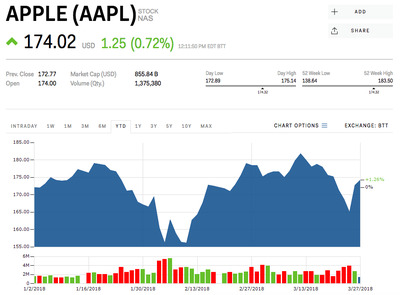 Watch Apple’s stock move in real time here. Apple will have to play the long game in order to unlock its next leg of sales growth – services. With iPhone sales growth slowing down, some Wall Street analysts are calling this the end of an era for the smart phone, prompting the Silicon Valley company to move past hardware and focus on services and other devices. In Apple’s last quarterly earnings report, sales of the company’s devices and accessories, such as the Apple Watch and AirPod, grew 36% year-over-year, and its services segment grew 18.1% year-over-year. The company’s huge installed base of users who bought additional hardware, software,and services are slowly being monetized, but some analysts believe revenue from these segments will not come soon enough, nor will it be nearly as much as sales from its preeminent iPhones. Yet a UBS analyst believes that will change over time. Milunovich maintained his price target of $US190 a share. According to a UBS survey, only 27% of US iPhone users spend money on services. While the number of consumers who are spending on services is growing by 2% a year, that gradually shifts. But as they become existing customers for longer, they end up transacting over 20% more often with each passing year, delivering 18% to 19% in services revenue growth from February 2016 to February 2018, the survey found. When customers spend on a service, over 90% of those customers make another purchase in the next 12 months, Milunovich adds. Moreover, only around 18% of Apple’s total device installed base are paid subscribers, “leaving much room for improved recurring revenue,” Katy Huberty, a Morgan Stanley analyst, wrote in a note last week. Huberty also sees the potential of accelerated sales growth through Apple Music, iCloud subscribers, and Apple Pay. 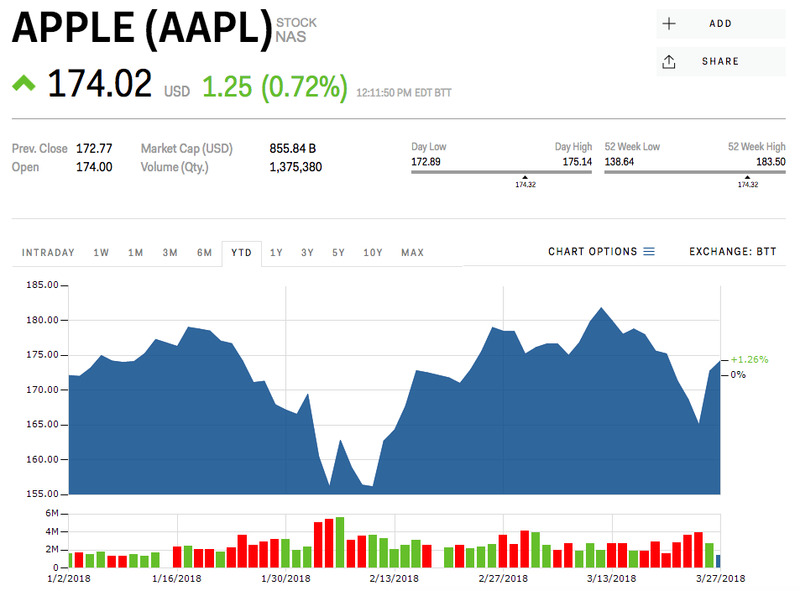 Apple’s stock was trading at $US174.32 per share, and was up 1.26% for the year. Read more about how Apple may be largely unscathed from the privacy battle stemming from the Cambridge Analytica data breach.